Hayfield High School class of 2015 Alum Kristen Eggler was recently honored as the top psychology student in Minnesota. Click here to read the entire article. Due to the passage of the “Snow Bill” by the State Government our school calendar will remain unchanged for the remainder of the school year. NO SCHOOL on April 19th and 22nd. LAST DAY OF SCHOOL with early dismissal at 12:30 pm on May 24th. Thank you for all your patience during this record setting winter and hope this morning was the last we see of the snow fall. 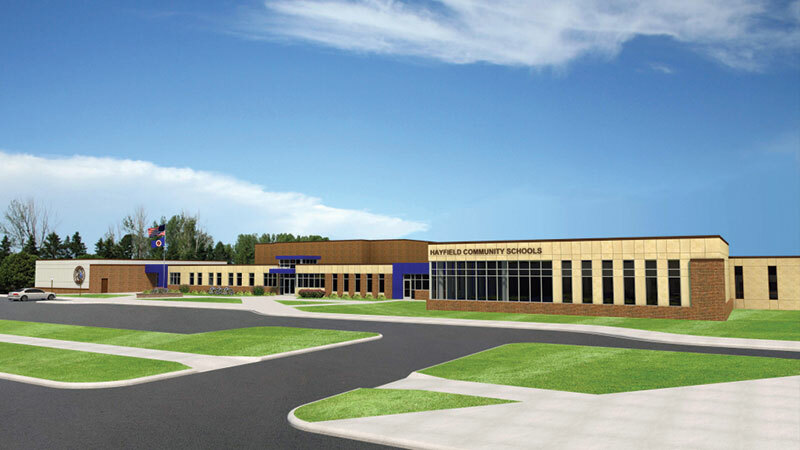 Click here for an awesome article about the construction project at Hayfield Community Schools.